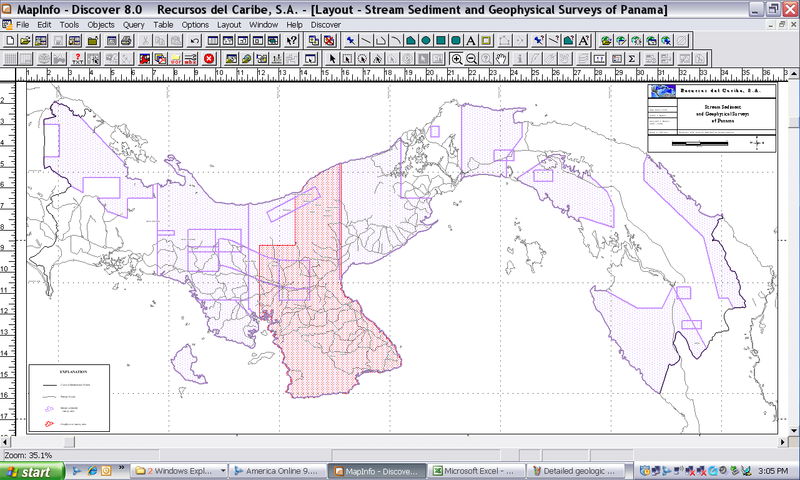 Stream Sediment Surveys « Recursos del Caribe, S.A.
Multielement Geochemical Databases for Mexico, Colombia, Ecuador, Central America and the Greater Antilles. Recursos del Caribe has been assembling and preserving multielement geochemical data since going into business in the 1980’s. We now have a large collection of multielement geochemical data in vector format with an emphasis on stream sediment survey data. Original maps and reports have been scanned and geo-referenced. 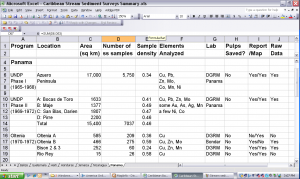 Click on Panama Gchem database to see a description of a multielement geochemical database for Panama (in vector format). Digital (vector format) files are also available for Colombia (Colombia Gchem database), Ecuador (Ecuador Gchem database) and for Mexico (Mexico Gchem database) and are being prepared for the rest of the Caribbean Basin countries. Click on the link: Caribbean Stream Sediment Surveys Summary to download a list of available stream sediment surveys for Caribbean Basin countries.